After more than 19 years of hard work, practise and research in the field of medical dieting, Dr. Tarnower published his book “The Complete Scarsdale Medical Diet” in the late 1970s. Back then his patients at Scarsdale medical center knew his methods for years, but the world was just getting to know the miracle called the Scarsdale diet. It’s the work of his life with continued success and endless interest worldwide more than 3 decades after his untimely death. Scarsdale diet popularity nowadays and thousands of followers worldwide prove the diet plan works even today. The diet menu is law in calories (about 1000 per day), also low in carbohydrates and very low in fats. 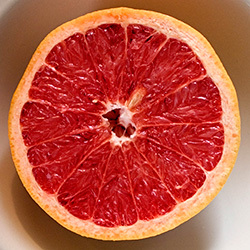 You can lose one pound a day, which classifies the diet as a fast weight loss diet. 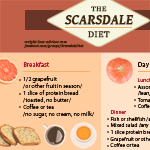 Scarsdale diet – how it works? It is also hard to keep the weight off, because your body can start to hold water again when you return to your normal way of living. Here’s why I recommend to follow the “keep thim” two weeks after you complete the first 2 weeks on the Scarsdale diet plan. Scarsdale diet is not easy to keep. It is a strict plan and most of the people return to their normal eating afterwards, they even eat more because most of the time while on the diet they feel hungry due to the strict diet meal plan. It sounds a little bit scary, doesn’t it? You can eat until you are satisfied, but count your calories until they reach 850-1000. Throughout the years the Scarsdale diet has become more and more popular. It has been passed from hand to hand, ear to ear. Nowadays there are many similar diets with some improvements and the original plan somehow stayed in the past. Can I use ketchup and horseradish to make a dip for shrimp on fish days? This diet requires commitment ,because it really does work. I have tried other diets and always come back to it because I know that I will see immediate results. You have to be willing to completely change the way you eat permanently to keep the weight off though. that is the struggle for most people. They think once the weight is off , now they can go back to eating the way they want. Love this way of eating . Yes you can make cocktail sauce to use on your fish. And drink plenty of fluids. This post is wrong, no where in the book does it say to drink less. It says to drink plenty of fluids as your body demands to flush the keotones out thru your pee. Where can I find a plan for the Keep Trim phase which follows week 2? anytime i needed to lose weight i always went back to scarsdale. I find it helps a LOT to use plenty of lemons, limes, vinegars, and fresh herbs to drizzle over the salad or the other foods like fish. 1 lemon + 1 garlic clove mashed w/a little bit of salt + 1T low-fat sour cream is great over steamed fish! How can I use this diet but not change from my vegetarian diet?